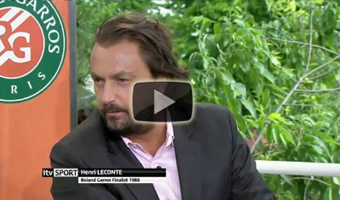 Check out this ATP World Tour Uncovered feature on HEAD Prestige Legend Henri Leconte. Henri Leconte découvre Agadir, mais aime t-il vraiment voyager? Mansour Bahrami, Fabrice Santoro and Henri Leconte discuss the Statoil Masters Tennis at the Royal Albert Hall when they appear as guests for ITV4 during Roland Garros.